Welcome to the Kodak complaints department brought to you by HissingKitty. Experienced poor customer service? We make it easy to file a formal complaint against Kodak online. Simply use our free form and your feedback will be instantly forwarded for review. Need to contact the Kodak corporate office? We have the mailing address, phone number, and email address listed below. Bought a £400 360 degree VR camera a few months ago. since then I have been unable to attain a remote control that I have been trying to order for months on end. After a phonecall I was told that the Europe branch of the parts was moving warehouse and I just had to wait until they became available again. Still waiting and this must have been 3 to 4 months ago. In the last couple of week I have sent two e mails off to kodak enquiring if I can buy the remote from the states as the remote is shown on the states website. And guess what both e mails have had no reply. if I knew this was going to be the case I would never had bought a kodak product and will not be buying another one. During my time in the Kodak store in Stroud to have my passport photo taken for myself and my daughter, I was very upset with the customer service we received! Nothing was explained to my 8 year old daughter about what to do as the shop assistant wasn’t talking to us! I wasn’t able to check the photos before they were printed and just asked to pay! I’ve never experienced customer service so bad, I will not be returning to the store and feel I have wasted my time and money. One of the Kodak machines is now situated inside a shop called: Forget me not, 145-147 Field End Road. Pinner, Middlesex, HA5 1QL. I have lived in Pinner for over 20 years and have always popped into their shop for their choice of gifts, last week i noticed they had one of your lovely Kodak printing machines, so this week i decided to go to the shop to use it as i wanted to print 3 very special photos of my eldests daughters baby photo. I know Kodak are a recommended company for photos and so i went there and the guy who runs the shop or owns it said he will come help me in a minute. He plugged in my phone and said the photos would take a little while to load so just to wait. It took about three mins and they all came up, he said just choose which ones you want and click them and add to basket, i noticed on the photo i picked at the 6x4 size that it looked ok on the screen but next to it it had a orange light there, i tried an 10x8 to look at and the same happen, i called the manager over the same guy i spoke to and he said oh thats nothing. I said a couple of years ago tesco had a lost exact machine and it let you click the photo with the orange light and it told you it was warning you it had a resolution problem and that it wouldn't come out as it cooked. I explained this to him and he said no it be fine, he said what size do you want i said a 10x8, so he added it and said again no it be fine do you want it, i said yes as long as your sure, he again said yes, we added it and clicked it and when it came out it was the worst photo of my picture ive ever seen he said its not too bad, i said its rubbish, it looked like we all had two heads and was blurred, i said you may as well throw that away its no good to me, he said lets try the 6x4 i said but that had an orange light too, but he said the photo is smaller so should be better. and its only 60p. I said ok then believing a smaller one would be ok and it was exactly the same with the resolution, i said thats no good, i said to him you said it would be fine, he said to follow him to the till where he still charged me for the two photos of £3.49 for the large one and 60p for the little one, he took my money and gave my change, there was alot of customers there and i said this is ridiculous you may as well throw them in the bin, i cant give them as presents, he said well take them for now and you can decide later, he was so arrogant. He clearly did not know how to use any of your printing machines, he is selling photos to people whether there is a resolution problem or not, giving them the wrong info. I was so upset that by the time i went to the other part of his shop to the new post office part i broke down in tears. The lovely post officer lady looked at the photo and said she wouldn't put them in a frame either, out of good will she gave me £1.00 back, she apologized. 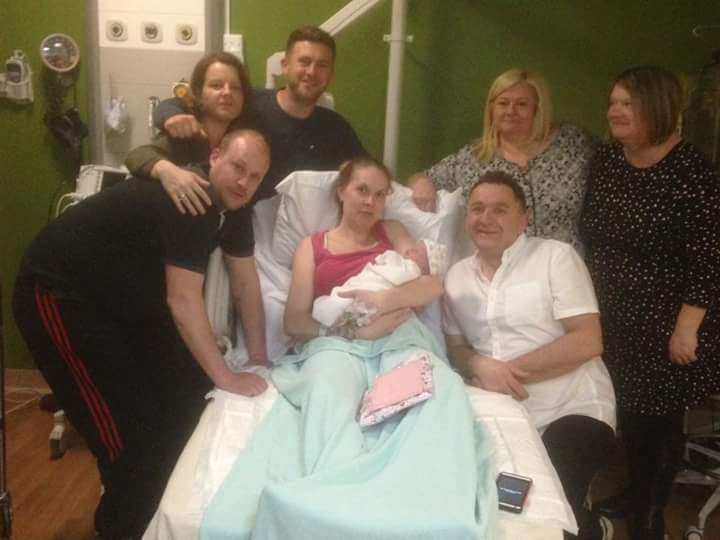 I was so upset cos the photo means so much as my daughter had just had a baby as a surrogate for a childless couple and we was all in it, i wanted to give the new parents and my daughter a photo of us all taken by the midwife to the family on Tuesday as they live in wales and so its a good time to send them a picture. This manager is a disgrace, to expect me to pay for such a rubbish picture. I know no one else would of paid for the same photo like that, but he obviously doesn't know how the machine works, so he just tells everyone its ok with an orange light. It still upsets me thinking about it because the picture is such a one off. I think i have a right to complain about his services, he expects people to pay for photos when they come out wrong, i get it that you should but if he advised that an orange light meant it would come out not as good i wouldn't of bought them. ive binned the big one, but kept the small one but its in a drawer. I'm sorry to complain but i cant believe he tells people not the facts. I wont ever go in his shop again even for gifts, his whole persona was out of order. i couldnt stop crying at the post office bit , if he had told me it wouldn't be a clear picture i would not of printed it. ill attach the photo i wanted to print by 10x8 so you can see what i mean, he needs to warn others about the meaning behind the light. He shouldn't be having machines in his shop if he has no clue how to use them and mislead people. it also makes you look bad as he says it will print fine and it doesn't. Ive always bought Kodak items over other brands so thats why i chose your machine. I purchased a Kodak Easyshare DX7630 from you that came with the above camera case that I was very happy with. Over the years the camera and case was kept on a book shelf in my office at all times when not in use.so I do not know why it would disintergrate as it has. My office is located within my home and not a garage or somewhere where the climate could cause such deterioration of the outter faux leather...I am religious about caring for all my equipment and find it very odd that this could happen to the case when kept in excellent condition. Please let me know where I can send this camera case to be viewed by you and replaced without a charge.If need be I can send you a picture of the camera case instead of sending it back to you, just let me know. I cannot use it as it flakes all over everything and I have to keep it in a plastic bag to prevent that from happening. Kodak had their chance as a company. No sympathy when they saw the digital world coming but remained stubborn in their approach. They will soon be out of business. I would complain, but I will just react with my wallet and not buy Kodak pruducts. One of the best products I have come across in terms of camera is Kodak. I purchased Kodak PixPro FZ151 16 MP Point and Shoot Camera (Black) a year ago and it has become a true passion to click pics anywhere I go. The clarity and the zoom effects it has is simply awesome. 16 Megapixels camera with CCD image sensor with image stabilizer,15x Optical Zoom, Has 3.0 inches and 230K dots LCD screen, Incorporated with Optical Image Stabilization (OIS),720p (Motion JPEG),Comes with 24mm ultra wide angle lens. Best features I have come across with no comparison with other competitors. I would definelty recommend this to anyone planning to purchase a camera.